Beloved comic book creator Stan Lee started as an office assistant at Timely Comics in 1939. In the early 1940s, he received a promotion to interim editor. In 1960, Timely Comics changed its name to Marvel Comics and Lee’s boss asked him to create a new series to compete with the other major comic book company of the time, DC Comics. He created the Fantastic Four in 1961, followed by the Hulk, Spider-man, Doctor Strange, Daredevil and the X-Men. Because his characters made Marvel Comics so popular, Lee was promoted to publisher and editorial director in 1972. He moved to Hollywood to be more involved in Marvel’s new movie division. Many think his success is partially due to including real-life problems like racism and drug abuse in his comics. The most recent characters to be made into films are Iron Man, the X-Men, Wolverine, Thor and The Avengers. In 2001, he started POW! Entertainment and wrote his autobiography. He has received the Medal of Arts honor from President George W Bush. At the age of 90, he co-wrote a graphic novel called Romeo and Juliet: The War, which launched a YouTube channel called ‘Stan Lee’s World of Heroes’. Who says age is a handicap? 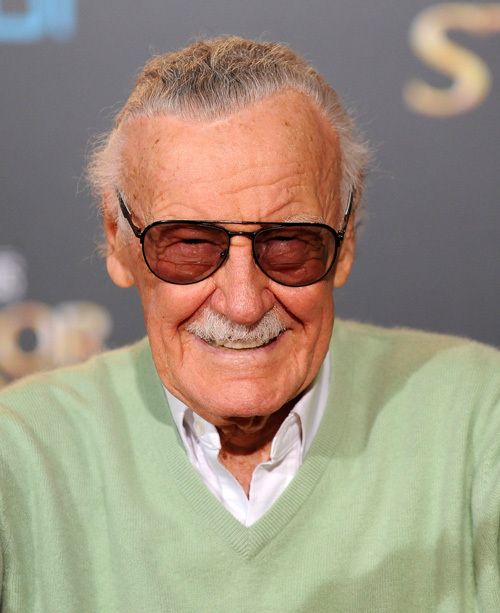 Fun fact: Stan Lee has made a cameo in every Marvel superhero movie. Because of his age, they had already filmed his cameos for the next four films. His very last cameo is reported to be in Avengers 4, which comes out this summer.